← The World is a changing! Exoplanets are planets that orbit other stars, not our star the Sun. 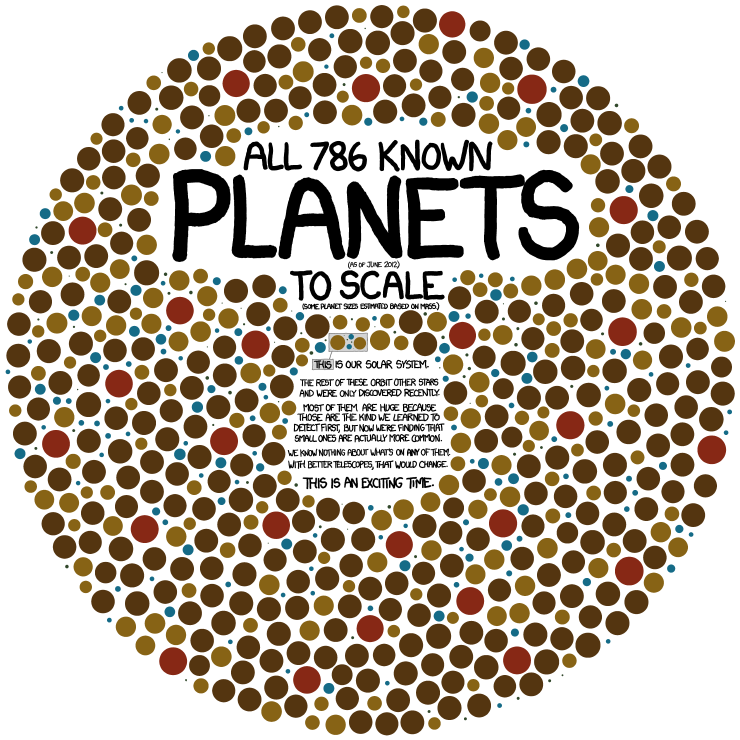 Look at this great drawing of exoplanets from the comic xkcd. There are a lot of planets out there, beyond our own solar system. Will we ever visit any of them? Is there life on any of them? And what kind of life – intelligent, bacterial, multi-cell? Watch this video clip from Nova Science NOW to see how astronomers find these planets around other stars. This entry was posted in Exoplanets and tagged Comics, Exoplanets. Bookmark the permalink.